Focus on Climate Change crisis and the steps to confront it ! Raising awareness and building capacity relating to gender and climate issues among decision-makers so that to ensure equal and improved policies. Increasing the global knowledge on gender and climate issues through research, action learning, campaigns and social media. 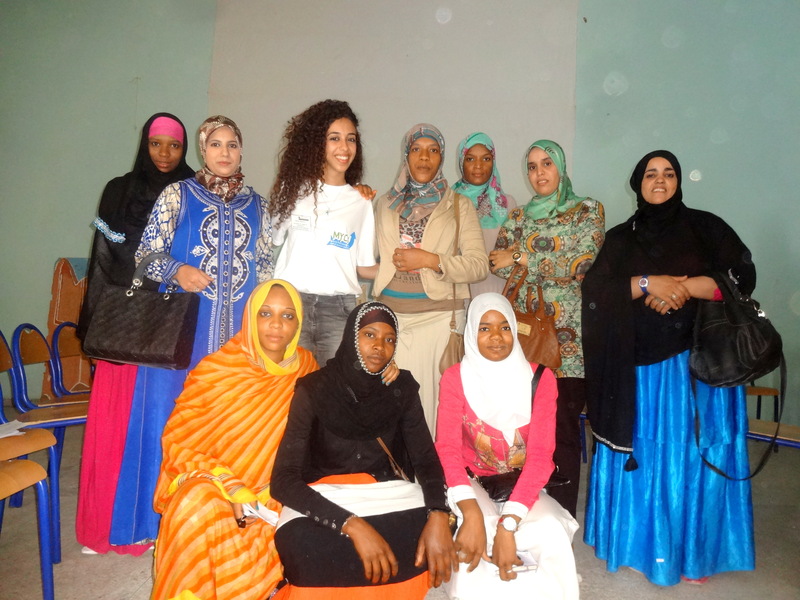 Increasing the participation of women in the formal policy making process. Raising awareness and capacity building on gender and climate change issues among youth and children. Decision makers need to facilitate more gender responsive action on the ground, take into consideration that women have their green voice, they lead their communities and countries, no decision should be made without taking into account women, because they are also affected by the change in climate. It is our the mission not only as women but as human beings to care for, reserve and promote the resources of environment, we have to be aware of the environmental issues impacting the world today and we must do something before our resources are gone. It’s our duty to show respect for the environment and other living things. Everyone is affected and it is every one’s responsibility. It is a matter that cannot go unnoticed and action must be taken to preserve something as exceptional to humankind as the environment. There is no refuting that global climate change problems are going to persist if nothing is done to resolve them. Concerns like these will produce disastrous consequences on the economic, political, and social heights in the 21st century if the global climate change situation continues to decline. Solving these is crucial to human survival. 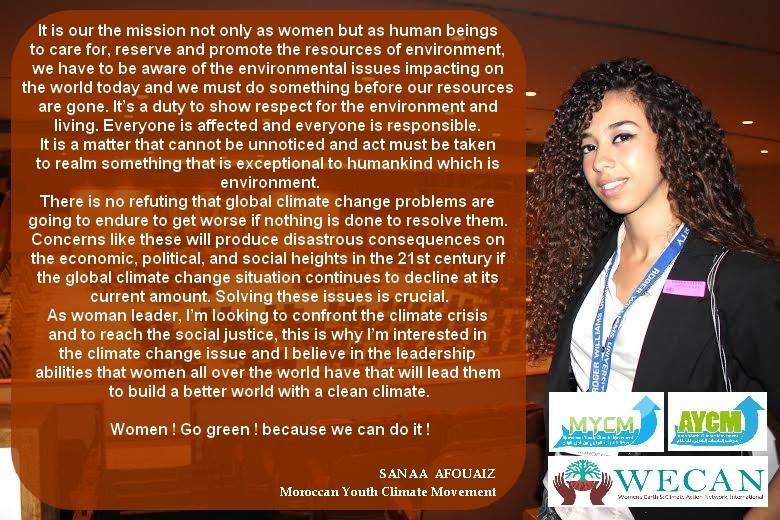 As woman leader, I’m looking to confront the climate crisis and to reach the social justice, this is why I’m interested in climate change issues and I believe in the leadership abilities that women all over the world have leading them to build a better world with a clean climate. Women! Go green! Because we can do it! The Women’s Earth & Climate Action Network, International launched its first training sessions in the MENA region, gathering powerful, active women who are ready to lead environmental projects, make changes and avert the worst effects of global warming. The purpose of the training is to build knowledge and capacity of women in order to carry out projects in the field of climate change and to implement sustainable plan actions, as well to confront the social injustice of climate change. The first training held on the 24/03/2014. Throughout the training we discussed the following subjects. How women internationally are negatively impacted by climate change and environmental degradation and how women are key to climate change and sustainability solutions. What is the status of women’s leadership in climate change in the MENA region? How can women’s networks be mobilized for climate change awareness and action in the MENA region? 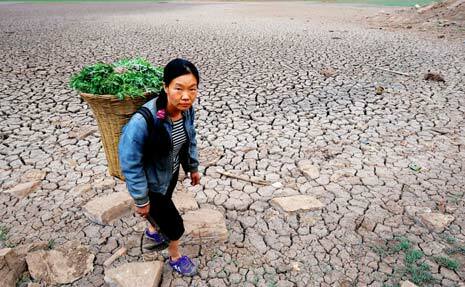 The scientific reports prove the sensitive situation of the world’s climate. We are warned the necessity to do something before the situation gets worse. Women are more impacted by the effects of climate change, principally as they found the majority of the worlds economically disadvantaged and are more dependent on the natural resources endangered by climate change. Moreover, they face social, economic and political obstacles that limit their participation in the decision-making process to confront environmental issues. Women, especially in rural areas in developing countries are susceptible when the local natural resources are the only source of their income. Those women are more aware of the necessity to secure water, food, and fuel for cooking. In Africa and India women walk 6 to 8 hours for water, a great example showing how much they are influenced by the changes of environment, and also shows how important it is to include women in the planning of water consumption. Though the negative impacts of environment change on women, they still face unequal access to resources and to decision-making processes, which bound their mobility capacity on the issue of climate change. It is therefore essential to identify gender equality strategies to respond to the environmental and humanitarian crises produced by climate change. Women are operative actors and agents of change to address global issues like climate change by mitigation and adaptation. Women have all the abilities of knowledge and expertise that can be used in climate change extenuation, disaster reduction and adaptation strategies. Furthermore, women are the suitable advocates to take decisions on climate change, as history shows that countries with higher women representation make better decisions for the environment. In the MENA region, one of the most affected by the climate change, is also where the promotion of women’s leadership on climate change is necessary. They represent an important percentage of the population and their voices need to be heard by the decision makers. Women representatives are needed to address the root causes of climate change; women who will ensure to bring out the green voice of many women in the region. This could happen through powerful personal narratives, establishing the conversation on gender equality, environmental justice, food security, the eradication of extreme poverty, and public health. Women have a natural connection to nature and nurturing not only in the MENA region, but also everywhere in the world. Women have been absent from debates on climate change for a long time. Now is a chance to ensure that women have the opportunity to contribute to innovative solutions to the problems caused by climate change. WECAN is a network where we can take action and implement solutions. The human being faces a critical juncture. Business has been concerned with income only. Our remaining reliance on fossil fuels makes this planet an unwelcoming place for future generations. Women from different parts of the world are aware of the seriousness in taking leadership actions to move to a new greener world. Investing in women’s abilities, empowering their representation and contribution in all domains of life, and especially in the male-dominated world of business, is one of the most important next steps in undertaking the climate crisis. The gender gap should be a solved and a closed story. We need to use all of the world’s resources to resolve the most challenging global issue of our time. A study in “Women, Business and the Law 2014,” indicates that there are still legal differences limiting women’s economic opportunities in 90 percent of 143 countries studied. The laws studied related to owning and using property, having the right to access institutions and the right to work. Obviously the situation is distressing and frustrating. The Arab region has one of the lowest per capita water availabilities worldwide. Within the Arab region, water is projected to become severely affected by climate change. Lower precipitation, higher temperatures, increasing agricultural water demand, and damage to infrastructure will increase variability and decrease reliability of current water systems. This requires special and immediate attention. The region currently lacks women participation in addressing climate change impacts. Women and civil society members need to work to change the system by putting pressure on governments and decision makers to take the right steps in solving the increasing climate change crisis. Women can also raise awareness and educate the community. We want stronger collaboration between governments and societies to create green jobs and green opportunities for investments. We want to change the policies in place to ensure a successful transition into a just and clean green economy that includes participation of women in all stages especially in awareness and education. We want women in leadership roles. Women are an important resource in tackling climate change! The earth is warming up, and the chances to adapt the ecosystems naturally are diminishing. Yet, many people don’t realize the seriousness of this issue. Scientists consider climate change one of the greatest threats facing the planet. Communicating climate change engages the public attention and enhances innovative solutions to confront the environmental crisis. Many communication tools: including storytelling, multi-media, and messaging can be used to attract attention and express the seriousness of this issue. Successful solutions, growing a new cultural narrative, and commitment to the mother-earth are symbols of successful communication. New media allows us to engage individuals, communities, government, organizations and others to stop the climate change. Also, it can be used to catalyze wider political engagement on the issue and to promote sustainable consumer choices and behaviors. Effective media and communicating methods create online interactions, strengthen and build on real-world connections to solve global issues. Investing in credible media allows cultural practitioners to promote understanding of climate change. Promoting understanding with reliable evidence is the first step to public engagement. Public engagement is necessary for systemic sustainable behavior.Sustainable behaviors are required to address climate change. When nature is disrespected and harmed, the human being is diminished and the next generation is impoverished. Life requires water and natural resources. The importance of the rights of Nature is especially vital in these times. Our actions have largely been ignoring and forgetting nature resulting in enormous destruction and the devastation of many species, the world has lost balance. An understanding of the importance of the Rights of Nature includes respecting and caring for all natural species on the earth as well as respecting all human beings. It involves an understanding and respect for the enormously interdependent and interconnected environmental systems and species, which we depend on for life. Ecuador is the first country in the world to integrate rights of nature in its constitution (September 2008). The Rights of Nature considers treating nature not as possession under the law, but as a rights bearing entity. The Ecuadorian constitution ensures that nature in all its life forms has the right to exist, persevere, sustain and revive its vital cycles. Human beings have the legal authority to apply these rights on behalf of ecosystems. WECAN, environmental activists, and other international and national organizations that work in environment fields believe in Universal Rights for All. All human beings have a mutual right to a healthy life in harmony with their nature. It is right for a river to flow into the sea. Mountain peaks should be covered with snow. Whales should be able to swim in clean oceans. It is right and natural for children of all different species to play. Respect the Rights of Nature.